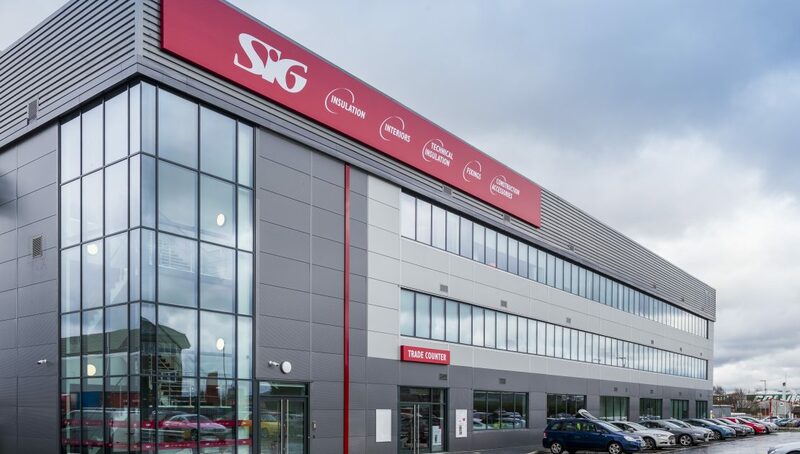 Formed in 2012 to provide dedicated technical support to SIG customers the SIG360 Technical Centre has now out grown their original offices at Newton Le Willows. SIG360 opened for businessin the summer of 2012 with a small team of 3 technical experts and 3 external technical specialists providing services such as Standard Assessment Procedure (SAP) calculations, U Value calculation, and condensation risk analysis to the small to medium regional house builder market sector; working with the extensive network of SIG branches all products identified impartially are able to be supplied. It was clear from the beginning that there was a tangible appetite for the services and SIG360 very quickly needed to draw in more specialist technical engineers to cope with the demand. This created some challenges as the basis of the service offered by SIG360 Technical Centre was to capitalise on the 60 years of experience and expertise from being a specialist construction product supplier; specifically thermal and acoustic insulation. Over the last 4 years it has been those specialist people within SIG360 Technical Centre who have developed tools to establish a more efficient way of advising product selection. By setting up product performance and cost as simple rules, the selection of a product to meet expected performance criteria can be made both quickly and consistently. This ensures the customer is always receiving the most cost effective solution for the problem at hand. SIG360 Technical Centre also developed to support customers working in the non-residential markets and provide product selection support not only in the thermal and acoustic insulation material but also with waterproofing and passive fire protection. They have also extended the levels of technical support to thermal modelling, SBEM, post construction testing for air permeability and sound transfer. With the team growing to meet the demand thanks to ongoing investment from SIG Distribution, the next phase for the team was to move the brand new Central Distribution Centre at Trafford Point, Manchester. This new facility not only brings an excellent working environment but also better digital links with the outside word, being equipped with the most up to date digital technology. As technology develops it’s been intriguing to see how the humble computer can carry out the mundane tasks which frees up the Technical Team to consider more complex issues such as cold bridging solutions. For the last two years SIG360 has been keeping a very close eye on technological digital development such as Building Information Modelling (BIM) and how this digitalisation of the design and build process might impact the construction industry supply chain. It is clear that it will but with BIM Level 2 generally regarded as the target level to work to it will be some years before we see pull to push supply chain relationships, more routine in manufacturing. However as a provider of product selection SIG360 Technical Centre will be able to engage with their customers in a digital environment taking advantage of the amount of data typically held in the 3D BIM Model, later this year. The clarity and efficiency of collaborating in this way is easy to see, resulting in SIG360 being the technical partner of choice.